Junior Hoody, available in Navy blue or Burgundy, embroidered club logo and name or initials and print to the back. 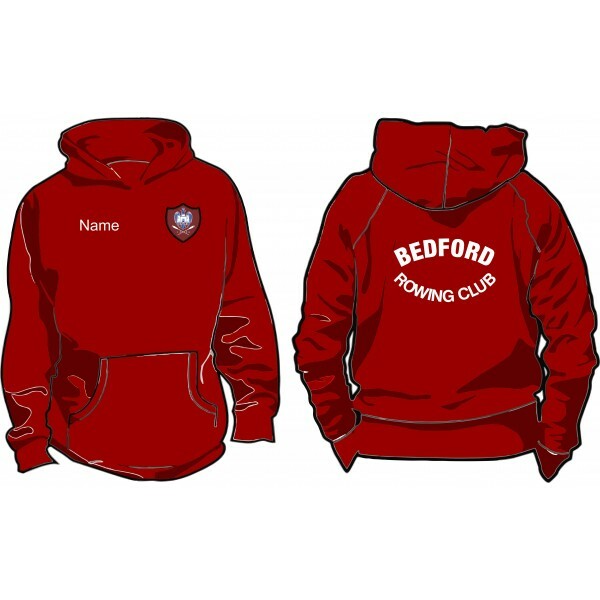 Age 1-2 24" Age 3-4 26" Age 5-6 28" Age 7-8 30" Age 9-11 32" Age 12-13 34"
Junior Hoody, available in Navy blue or Burgundy, embroidered club logo to the left breast and name or initials embroidered to the right breast. BEDFORD ROWING CLUB printed to the back.